When Jemmers started in the 1970s, our research team worked hard to track down and notate dances from people who remembered performing them as young girls in the 1920s. 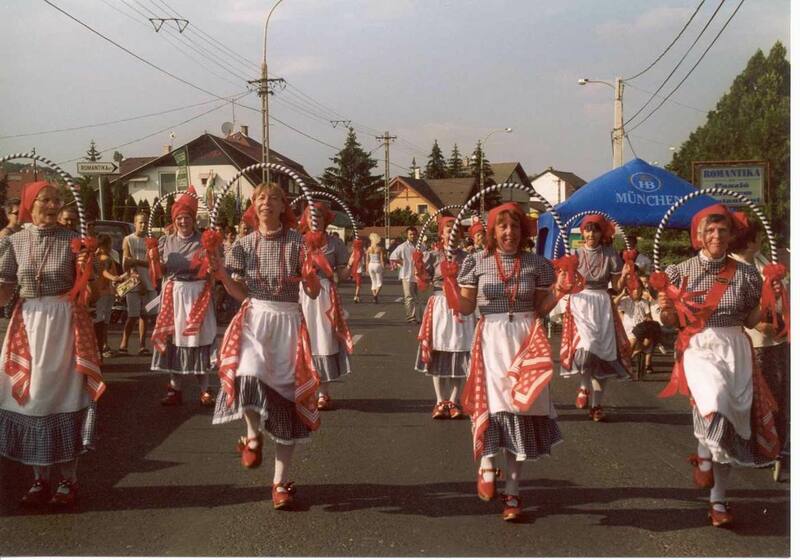 Because they have not been widely published, many of our dances are done by us exclusively. Mobberley, Goostrey, Reddish, Stockport Premier, Marston, and Knutsford Garland (an unusual soft garland dance) come from our own research and notation. The dances we call Poynton Green and Worth Clough were expanded from fragments of dances from Crewe and Peover respectively. 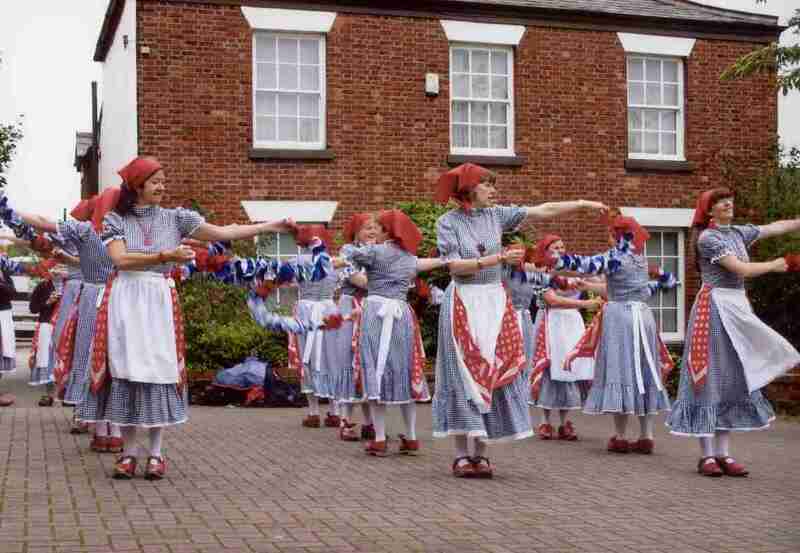 Middleton Junction and Knutsford were previously published dances, and the latter is widely performed by other teams. We make it unique by using the tune Fair Maids of Poynton, composed especially for us by the late Stan Gee. We created Broken Cross and Poynton Jubilee ourselves, the latter to celebrate the Queen's golden jubilee and our own silver one. It is based on figures from a dance from Fleetwood. 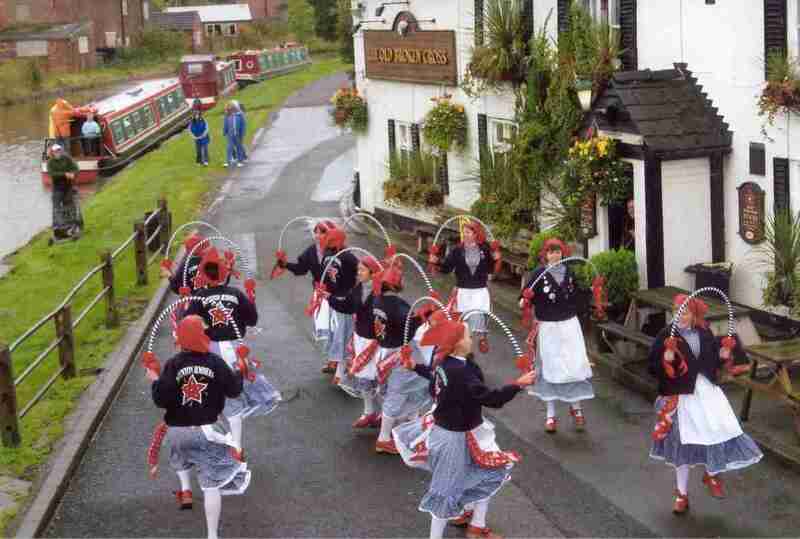 Banks Lane was kindly taught to us by Stockport Morris Men, and in 2010 we added to our repertoire a dance from the Lancashire village of Galgate, based on the 'Galgate Treat Dance' notated by Tony Dann. 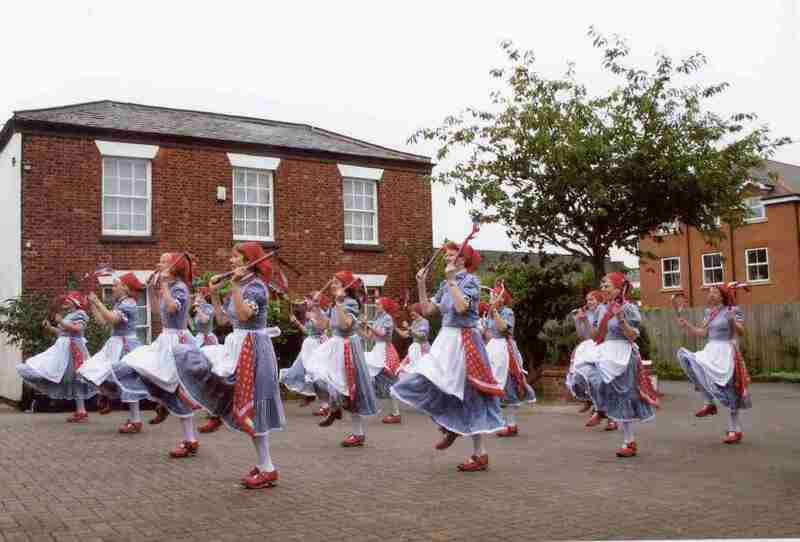 Since then we have learned the version of the Glossop dance previously performed by the now-defunct Brisingamen, and most recently Nine Man's Morris, a dance created by Ripon City Morris and taught to us by Severn Gilders.